From emerging markets to market stalls and stock exchange to stock pots we talk to food and foraging entrepreneur George Fredenham (pictured left) about his decision to trade in his city lifestyle for the challenge of starting a new gastronomic movement. What was your eureka moment? When did you make the decision to set up as a landlord, restaurateur and forager and where did you meet your partner Gerald? I was working for a city firm advising large corporations on emerging markets and things like that. I would be in some interesting countries Zimbabwe, Sudan, Eastern Europe, a little bit of South America, sitting across from senior execs trying to sell them some product when in fact I was always thinking of the local street food and the markets – I was actually much more focused on what the local area could provide me in terms of food experiences. When the economy took a dive emerging markets were hit pretty hard and 8 hours of work a day very quickly turned into sixteen for the same results. I found myself spending all the money I earned to build the kitchen I wanted in my house and getting out on the weekends to look at what I could buy and produce so that’s where the seed was sown so to speak. It was tough, there were a few months for me personally – you know you question what you have done. I went from having a house in London and earning good money to earning nothing and having to rent my house out. I ended up taking on a job setting up bread stalls across London and it just so happened one of them was in St Albans, where I grew up. That is when I met Gerald. His oldest daughter is friends with my brother and we met via that association. We were both keen to start something in food and that’s how it all came about really. There was something about the wild that he loved and it was an area I had not thought about before. At the time it was definitely becoming popular you would see a lot of people using wild items in their foods. That camp fire cooking thing intrigued us. When we first started here we were doing stews with a nice big chunk of soda bread. We still have stews but in the last two years it has definitely escalated to a bit more of a restaurant style menu. Was it a conscious decision to base yourself in St Albans? The Verulam Arms itself came about from a chance conversation at a party. The owner had to shut it down, much like the 5 previous landlords before them. It’s not an ideal location you see, small kitchen, not a huge amount of covers, not great parking, but much like the ethic of the forager we made use of what we had around us. I don’t think it is a time to throw money at things. I think it is a time to really focus constantly in order to try and figure out what works and like I said before make use of what you have. We sanded the whole place ourselves, we painted it ourselves and we have called on friends and family. There are scavenged items throughout the pub, my granddad’s fishing bag, my aunty’s bureau, these are all things that just sat in lofts gathering dust. As much as we like to go and pick from the wild, that ethos filters down into other areas and we find ourselves giving all manner of things a new lease of life too. So the restaurant side of the business you did from a complete standing start? I have eaten in a lot, that is my experience of the restaurant business. 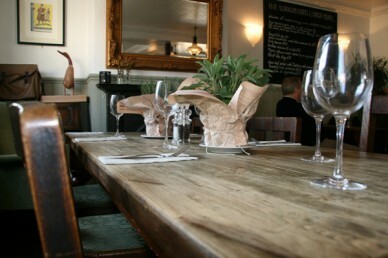 For me it’s about the wholesome, flavoursome food and nice atmosphere, that is kind of it really. How long did it take you to get going from the initial inception of the idea to moving in and opening up here. Yes, we actually toyed with a few different ideas. 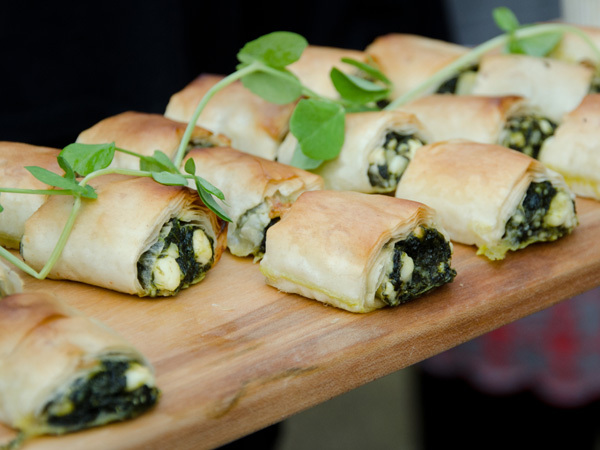 I always had the idea of doing something called ‘fodder’ which would be the wild food at festivals and events like that. But when we came across the pub here we did talk about whether we should open it up or whether we should use it as a space to begin to push things out and do mobile. We had a few people knock on the door and say how much they liked it and that is when we decided that we would go with the pub. How did you get momentum going in the first place? How did you spread the word? We couldn’t really of managed at all without friends and family. Everyone was very supportive. We contacted a lot of the newspapers and although Twitter is something I am still getting to grips with the value of that is incredible. Other than that, it was important to get in front of people and do as many markets, festivals and local fetes as possible – we do everything we can to let people know we are here and that means we can personally talk to them too. It makes you part of the community? 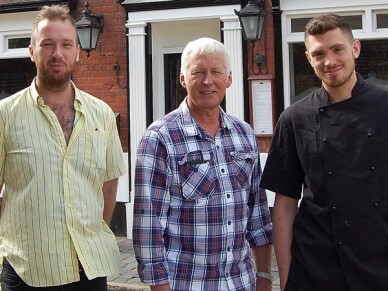 Yes there’s something nice about the independent restaurants & pubs in St Albans look at the The Boot, the Hughes family there, L’Italiana, or Lussmanns. Andrei Lussmann is very present, he obviously does a lot of advertising but he is always in the restaurant at least half the week and will make a point of talking to people. St Albans is tightly knit, people talk, so it’s good to try and harness that by being worth talking about. Talking about the food now, who comes up with the menus? I let the guys have fairly free rein in terms of the dishes that come out. Most chefs are creative and they want to come up with new things. At the weekends these guys come up with some incredible specials and they are based totally on what we can find on the day. Gerald does the majority of foraging for now. From March next year we have someone joining us who will be helping. Sometimes we all like to get out together. Is this usually within the local area? Totally, we have a few areas we are fortunate enough to be allowed to forage on a little woodland and some hedgerows on an organic farm that is a stone’s throw from the pub. The good thing about that is we know there are no pesticides . Are there foraged ingredients in every course? It would be silly to say we are 100% wild. There is always a little bit of wild in everything and in the specials you are looking at 60-70 percent. We do have to use things like garlic as wild garlic loses a lot of flavour when you cook so if you want to include that it’s something you mix in at the end. People are interested in foraging. You just have to look at menus nowadays to see the amount of foraged food on there. We are more keen to bring together a group, a network, so when we first opened we just talked to as many people as possible who were out there doing it. When you talk to foragers, hunters, fishermen, pest controllers you kind of begin to understand a different side of things that I don’t think people are really aware of. 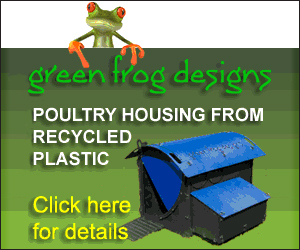 We also work with a company called Woodland Ways who support us in designing the menus. They are a bushcraft company and spend the majority of their time in the wild and are a great support and collaborator for us. We have also been working closely with the allotment community and we have started to organise a trading post. People grow lots of vegetables and, especially at certain times of the year, there is a lot of surplus. So we set up a day for people to swap what they have whether it’s the raw vegetables or produce made from them such as chutneys – we provide a venue for people to do that. The movement is about making use of what you have around you. That is kind of it really, it is about going back to traditional ways, it is making use of what you have around you, building up a store for winter – that sort of mentality. Tell us a bit about the food courses and any of the other initiatives that you have running at the moment? We started running the foraging walks and banquets which we did in collaboration with Woodland Ways. We just try and give an introduction, show people what’s available if you know what to look for and make people aware of the dangers. We identify a few items and talk about their traditional uses in food and medicine, the type of environment they are found in and we’ll try some too. Once we have completed the walk we will have those items incorporated in a selection of dishes. The idea is you can see what is out there, you can see where it comes from then come back and, rather than cooking it out in the cold like you do with a lot of foraging courses, come back to a nice warm pub where you can enjoy it with some wine. We have also held wild food demos, those have worked really well. 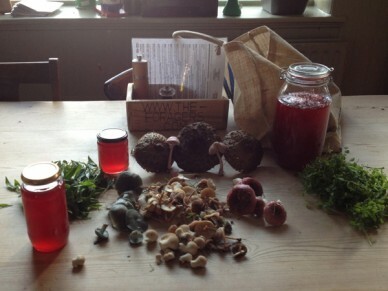 This year we are introducing Wild Food Expeditions. Another Foragers/Woodland Ways collaboration. Woodland Ways have their own wood in Oxfordshire, about 250 acres, and what we are going to do is take about 60 people out to do a number of workshops. 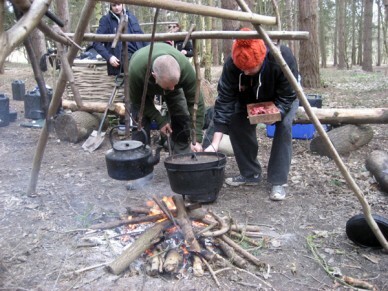 They will be small workshops but people will be swapping around between foraging, game prep and bush craft and we will have a group of our chefs there to actually put together a selection of food based on what people have picked and prepped. It is a really cool idea so we will do a combination of cooking. We will do some camp fire cooking using Dutch ovens, making stews and things like that and an interesting buffet which will be on par with what you would have here at the Verulam Arms. What do you feel you have learnt from the process so far? Loads. I think the people you have around you is probably the most important thing and for us I think over the last 8 months or so everyone has been going in the same direction. I do not claim to be an expert forager or hunter but I do feel like I can sit quite comfortably in between people and create and environment where they feel motivated. Tommy our chef is always out there reading up on curing meat, cheese, that sort of thing. When you have people that are full of passion around you it makes it quite exciting and it’s a great thing to be a part of. Did you ever think it wasn’t going to work? All the time. Posssibly not now but in the beginning. For me, if it is not hard and you don’t feel like giving up every now and then, then something is not right. If things aren’t tough then I think something is kind of wrong. You have to question yourself all the time. Every day I still have moments when I wonder what is the bloody point and then I can’t think of anything else I would rather be doing– so there you go – got to take the rough with the smooth. What would you say to someone thinking of making a dramatic lifestyle change, any advice you could pass on? I would obviously say go for it. Everyone has their own interpretation of what you should or shouldn’t be doing and will give advice on how you should go about it. In actual fact, I feel that the best judge in these situations is often yourself. That’s not to say don’t go out and take advice though, there are some people offering really useful insights into how to start and run a business’. It certainly is a lot more stressful than a 9 – 5 job, there is not really a day off so to speak. Hearing people say how much they like what we are doing or even what they don’t like and how we can improve are all things to me which I think are quite important. I think my advice would simply be, if you feel strongly about something, you feel that is definitely the way to go, then go for it. So is there anything you really miss about your old lifestyle? The money was good but, no, not really. It is a lifestyle kind of thing isn’t it, for me I have always wanted to be doing something along these lines it was just about realising that and, when I did, it’s about getting on with it really.